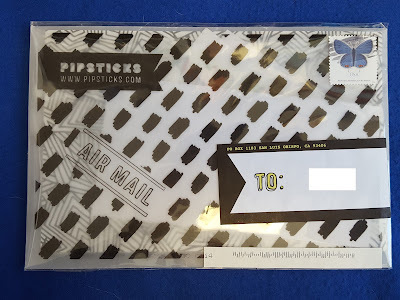 What: Pipsticks is a sticker subscription that sends you stickers from around the world. 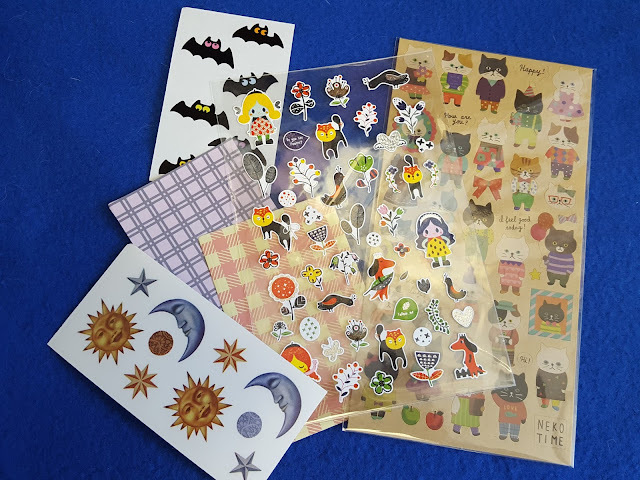 Depending on which plan you subscribe to, each sticker pack will contain 7-15+ sheets of stickers along with other fun paper extras. 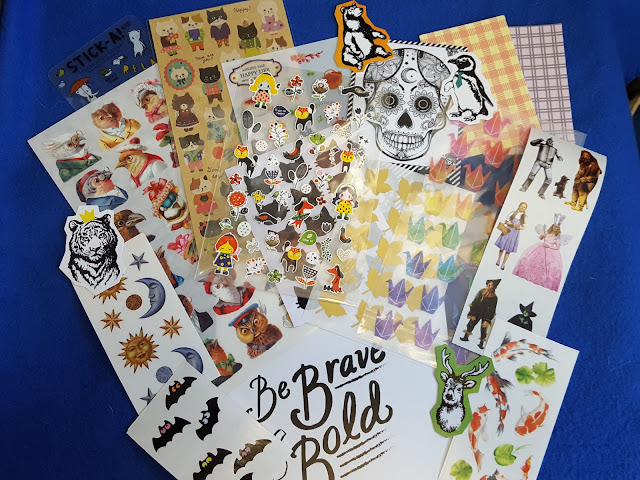 Sticker packs are marketed as either Pro (adults) or Kids and come in two sizes (Classic or Petite) for each demographic. This review is for the Pro Classic pack. Reminiscing: our wedding senbazuru frame and closeup of the cranes used to create it. Looks just like the stickers! I was also really glad to see koi stickers. In Asian culture koi symbolize strength and perseverance, both admirable qualities that I'd love to possess. I often see them depicted as beautiful paintings in peoples' homes. 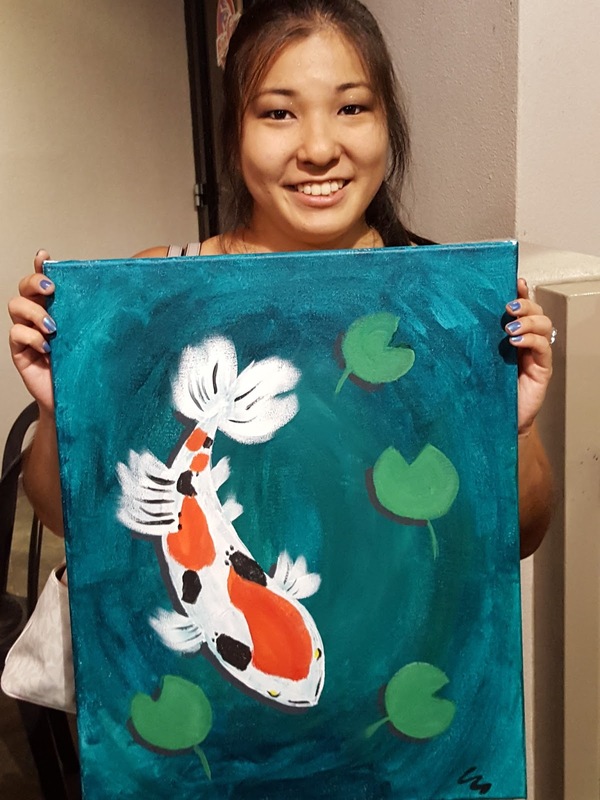 Several months ago my husband and I attended a Paint Nite and the painting of the night was koi. To this day I still can't believe we drew them because we are horrible at drawing but they actually came out decent. They may not make it to our living room wall but it was still a ton of fun to paint! Halloween bats! Cute Halloween bats with big ol' eyes. This year I'm into the cute Halloween thing rather than the spooky stuff so these are perfect. And I'm not too much of a cat person but I thought those sheets of cat stickers were pretty darn cute. More cats! These cats, the leaves, and the pretty skulls were all designed by Pipsticks founder Maureen. She's so crafty. 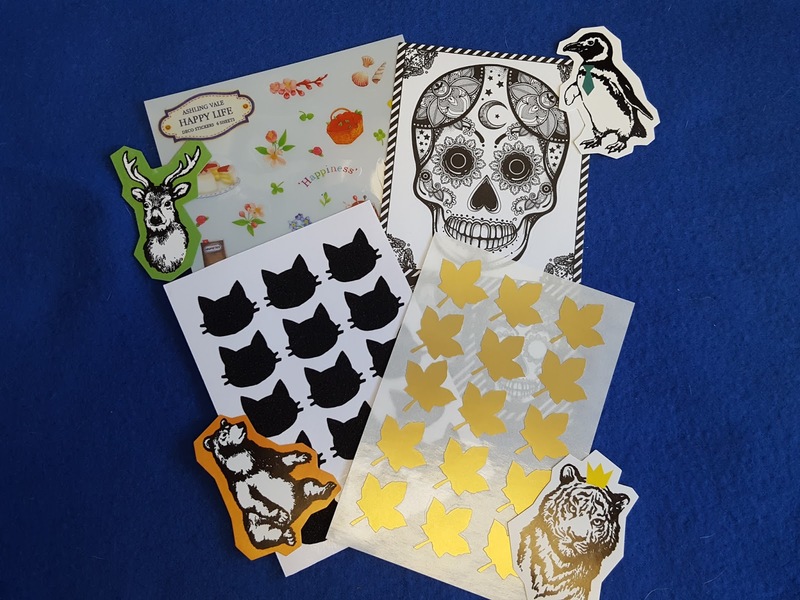 Then there's more animal stickers and a sheet of flower stickers adds a girly touch to the pack. September's Pro Classic sticker pack was pretty full. There were 13 sheets of stickers along with several singles tossed in. I think my favorites are the koi and crane stickers. Think these stickers are pretty? 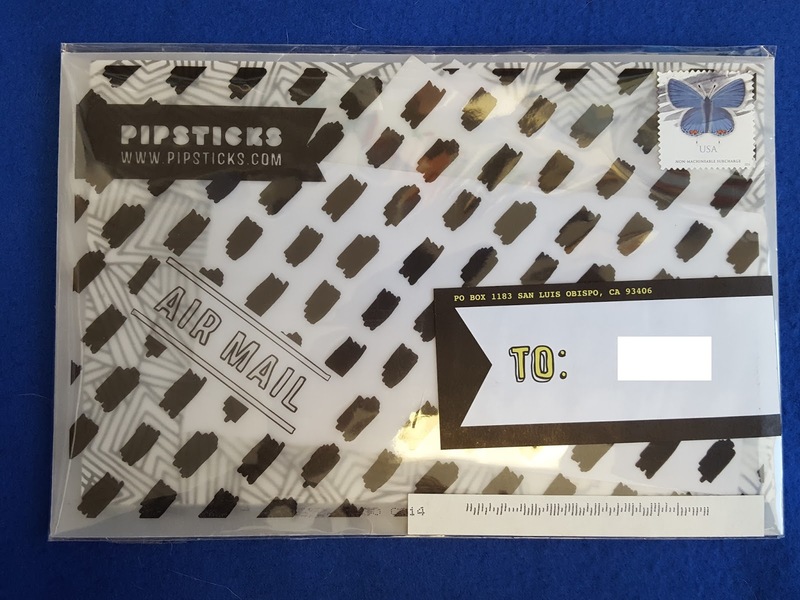 Click here to sign up for Pipsticks by 10/14 to get October's pack. You can use my link to get $5 off your first order. 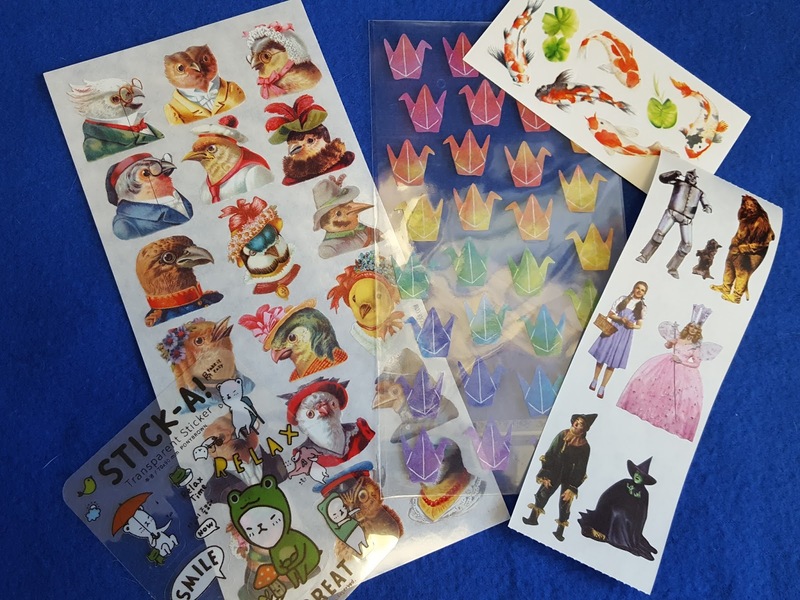 If you already have an account, don't forget to check out the Pipsticks shop to pick up past sticker packs and other fun collections! Note: Post contains referral links. All opinions expressed in this review are my own.